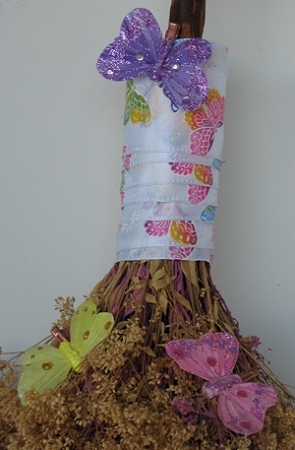 29" Round broom wood comes from a Cherry tree. 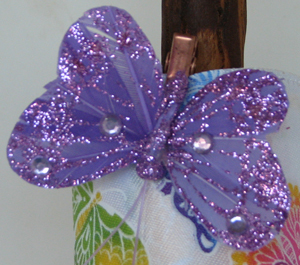 Decorated with the following ribbon color: white with color butterflies and the small ribbon on top is pink. 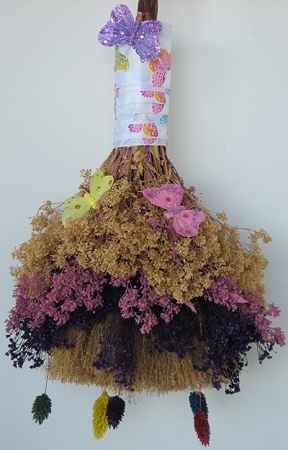 Straw fills the center with blue, burgundy, purple and yellow phalaris, light yellow and mauve sesame bloom and purple mini gypsy dried flowers on the outside and three butterflies (purple, yellow and pink) cliped onto the broom. Completely handmade, ONLY 1 IN STOCK & WILL ONLY BE SHIPPED BY UPS!